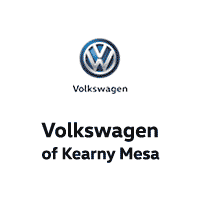 Volkswagen of Kearny Mesa appreciates that buying or leasing a car or truck in San Diego, CA can be a challenge. Particularly, if by chance, you happen to have a low credit profile. Is it time that you finance a new car? Are you trying to figure out how to fix your credit ranking for a car or truck lease or loan? You may already know that your car or truck financing rate is directly tied to your credit score, profile, and history. Credit repair may take some hard work. You’ll probably want to keep tabs on your score several months in advance before your car financing application. Increasing a credit score overnight is impossible. With some time, however, you can most certainly make great strides to a better score. Let’s learn how this can help. Financial institutions frequently take both FICO history and credit score into consideration while deciding to lend. Auto lenders identify the loan eligibility of the borrower by auditing his or her credit score and history. Even with all this detail, the process of credit scoring can still seem murky. Due to this complexity, lenders may use multiple industry-specific factors to decide if you’re a low-risk borrower. Remember that your credit score is an important component that identifies that you are able to pay your regular installments. This means that you should learn how to restore your credit before applying for vehicle financing. Car buyers with a satisfactory credit profile easily qualify for automobile loans with low interest rates or even zero percent financing. A good history also presents you with the circumstance to negotiate during your auto financing. On the other hand, those with less desirable credit, however, are generally ineligible for financing at zero percent, small or zero-down payments, and low-interest offers. In brief, you will overpay when you have a ugly credit history. Pay close attention to your credit report in the months prior to your car financing. Scan for red-flag items on your report. Fix them, if possible. Each time you miss a bill payment, your credit history gets a negative hit. By avoiding it, you can repair your credit score. Be wary of credit card balance transfer. If possible, clear any existing debt before taking on an auto loan. Be sure to file disputes if you find any. Do not apply for other kinds of credit. Multiple credit card applications in a short period of time will negatively impact your score and lower it. Avoid such actions if you’re building a low credit score. Car and truck shopping can be an exciting experience and involves several steps to be successful. For the smoothest financing experience, repair your less than desirable credit first. A higher score will aid you in acquiring a better automotive financing deal with more room for negotiation. Fixing your credit score won’t happen overnight; so, give yourself time and track your credit for several months in advance going forward with shopping for a new car .